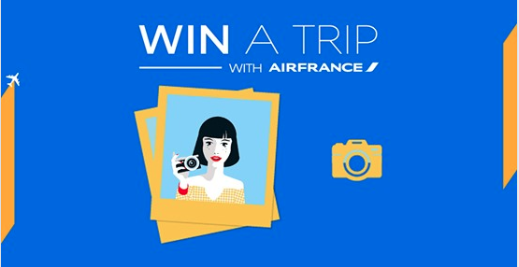 Win a Trip To Paris in Airfrance Photo Contest. *Upload a photo (selfie) displaying Air France colours (Blue, White & Red) or anything which represents or relates to Air France against a Nigeria background (image, land-mark, ornament, etc.). *Share your photo with your friends and invite them to vote for your entry. *The photos with the highest number of votes wins! 1 ticket to Paris with Air France​.